Given the fast evolution and the measurable results of online marketing, modern marketers fall in the trap of underestimating some old marketing strategies, despite the fact that many of these classic strategies have proven themselves successful over and over again. Such is the case of trade shows, which many people view as outdated in our modern times. Any business should strive to build an influential brand that people associate with a specific niche. In order for this to happen, it is essential to be a part of most of the events that are related to your industry. The simple fact that your competition is going to attend a trade show, should be reason enough for you to attend it as well. Keep in mind that these types of events are heavily advertised, both before and after the event, so the visibility that you gain goes way beyond the show attendants. Moreover, given the interactive nature of these events, you have the opportunity to create lasting impressions, which will increase your brand’s awareness better than any other marketing channel. This is by far the most important reason for marketers to still treat these events like a crucial part of their strategies: tradeshows generate the hottest leads. There is nothing that generates more trust among consumers than direct interactions with brands during targeted events. Obviously enough, just attending a trade fair is not enough to generate hot leads. You need to put in some elbow grease in order to stand out from the crowd. The best way to do this is to evoke positive feelings through games and other fun experiences that get your audience engaged with your brand. Don’t underestimate the power of giveaways, and if you really want people to make a line at your booth, remember that everybody loves food and drinks. Don’t forget to get follow-up information like business cards and social media accounts. The best part about trade show leads is that they are open to follow-ups, raising your conversion chances sky-high. Trade shows bring together the hottest players and the newest projects in any market, so they are a great way to gain an overview on your industry and keep yourself up to date with the latest trends and innovations. Moreover, keeping in touch with the novelties in your industry is essential if you want to discover new markets and opportunities, and trade fairs can even provide you with new ideas for your business. Moreover, at this type of events, you will also receive valuable feedback regarding your company and your products or services. The best feedback will come from potential customers, but you can also receive relevant suggestions from industry experts and potential partners. For the best tradeshow experience, don’t settle for just the exhibitor experience, but try to also attend workshops, seminars, and discussions. This will be a great way to gather formative experience, so that in the future, you can participate as a speaker, increasing your visibility and authority in your industry. Whether you want a closer look at your competition, or you want to evaluate suppliers and products, trade fairs will always be your best source of information. Here, you can check out the latest supplier prices, the best practices and the latest standards in an industry, the latest news about upcoming technologies and much more. Moreover, direct interaction with your competition is the best way to evaluate their strengths and weaknesses. Last but not least, these types of events are great networking experiences, that allow you to personally connect with professionals that share your interests. By attending these events, you will be able to build stronger relationships with existing business partners and meet a wide range of professionals from your market, such as suppliers, resellers or new talents in your industry. Face to face meetings make the best impact, and they are by far the most effective networking strategy.  42 GameChanger provides trade-show exhibitors with the most unique, fun and captivating way solution to attract visitors to their booth, break the ice, and convert them into leads, effortlessly. Our real-time marketing automation solution allows you to run all aspects of your trade show marketing strategy with ease, from the initial welcome notification to multi-step engagement funnels. Significantly increase your total event ROI and reduce your overall lead acquisition cost. Optimize your event, Effortlessly.